The high-end Khamelion electric car. 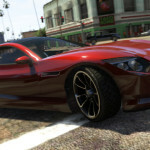 Available in Grand Theft Auto Online as part of the Collector’s Edition. Grand Theft Auto V’s Special and Collector’s Editions (available for pre-order from select retailers while supplies last) include a bevy of enhancements and accessories for all three of protagonists as well as your character in Grand Theft Auto Online as you navigate the streets, skies and showrooms of Los Santos and Blaine County. 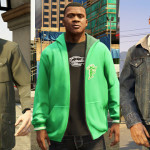 When visiting any shops around Los Santos and Blaine County, Michael, Franklin and Trevor will receive a special 20% discount along with access to special items either in their personal wardrobes or from stores. Each character will receive 1 outfit each, one article of clothing (shirt, hoodie and jacket) each, a special haircut, facial hair look and tattoo. Michael, Franklin and Trevor each sporting some of the unique additions to their personal wardrobes. GTA Online introduces a new spin on traditional character creation with the hereditary-based creation system. Select your character’s appearance by choosing your parent’s heritage, then use the gene dominance meter to dial-in which parent your appearance favors more. Additionally, you’ll customize your character’s daily activities – everything from family time to illegal work and sports to couch potato hours all have an impact on your character’s appearance and skill set (and you can always rank up your skill stats more via gameplay). 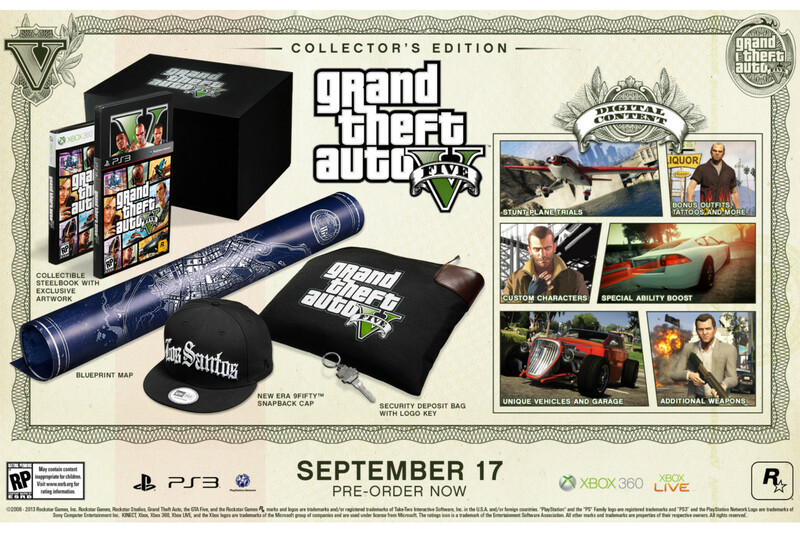 As part of the Collector’s Edition package, you’ll get Niko Bellic, along with both Claude and Misty from Grand Theft Auto III to use as parent options within the character creation system. 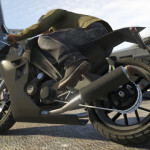 Hit the streets of Los Santos with the CarbonRS sports bike. The Collector’s Edition also features an exclusive garage to store custom vehicles, that comes stocked with the CarbonRS sports bike and the Hotknife – an open frame 1930’s style hotrod.